It’s been a good week for superheroes. Friday saw the release of The Avengers (which was hot), and Saturday was Free Comic Book Day. But if you live here in Boston, you don’t need to go to the theater or the comic book store for a superhero fix — we’ve got our own team of spandex-clad do-gooders and they are asking you to join. 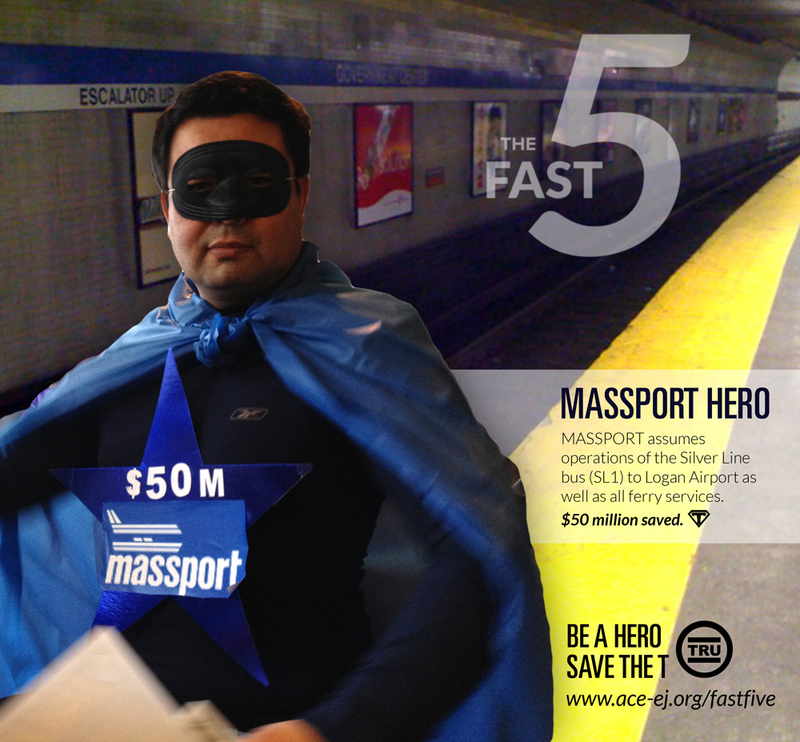 The Fast Five fight for affordable, quality public transportation in Boston. They have been spotted often across the city — at protests, marches, and transit board meetings — during the recent fight against budget cuts for Boston’s transit system, “The T.” Just as Batman lurks in his Bat Cave, the Fast Five base their operations out of the T Riders Union (TRU), part of the advocacy and organizing group, Alternatives for Community and Environment. Each of the superheroes is currently associated with a policy that could help save the T money — from renegotiating debt to drawing on snow-removal savings after a warm winter (that one ended up being approved). If you’ve read this blog since the beginning, you know the superhero myth is one of my favorites, and I think it holds a lot of potential for framing activism, so I love that ACE has been using it. At the same time, the superhero myth’s focus on saviors is at times in conflict with organizing’s focus on collectivity and empowerment. 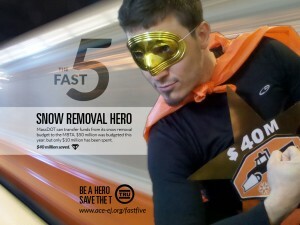 You can see that the Fast Five campaign is trying to deal with this tension. 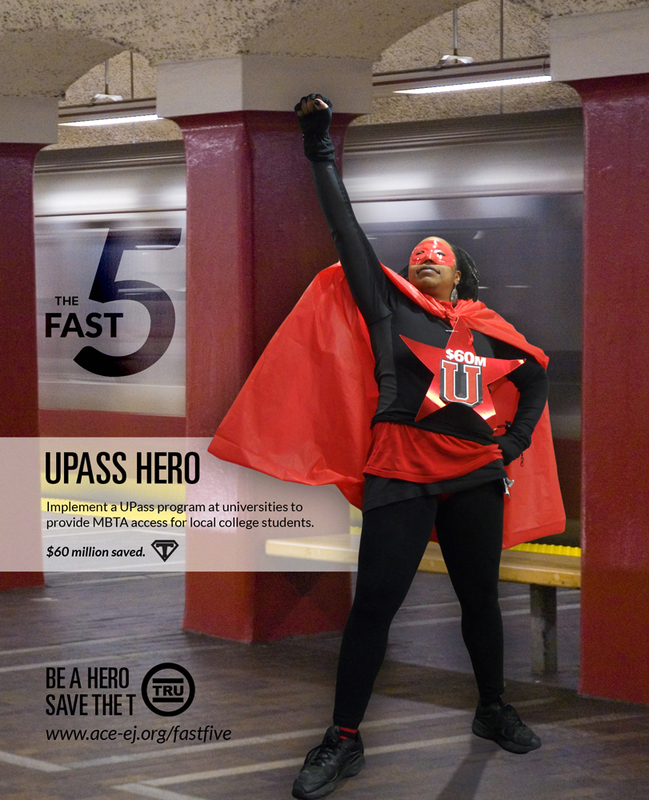 Though the superheroes may be here to “save the day,” they are calling on others to make it happen, with the tag line “Be a Hero; Save the T.” It probably also helps that the superhero outfits are so self-consciously silly, with some quite literally having underwear on the outside. They give off a sense of “do-it-yourself” superheroism that is endearing. 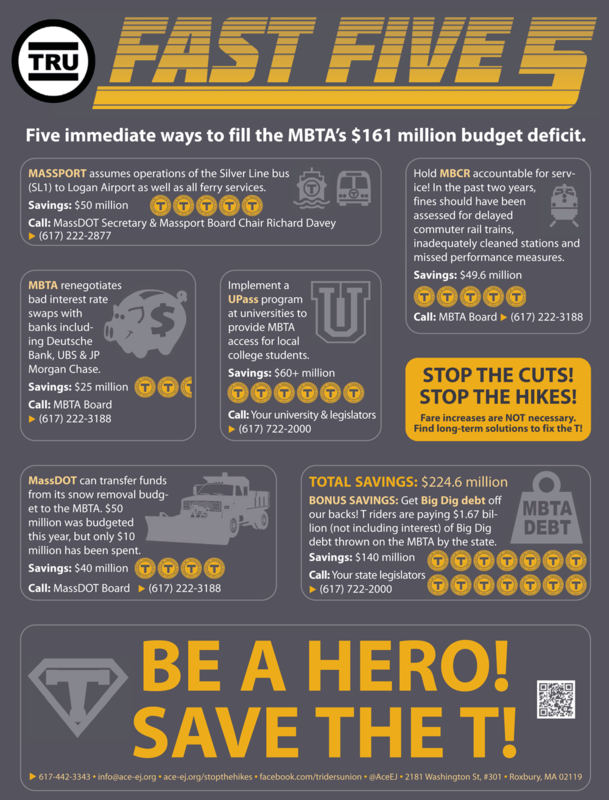 While this year’s transportation budget battle is over, there is still much to do in the fight for justice in public transportation. Most of the solutions used for plugging this year’s gap are one-time, setting us up for another battle next year. And youth across the city continue to organize for an affordable 24/7 youth pass. So I have no doubt we will be seeing more of the Fast Five. If you’re in the area, grab your underwear and suit up.